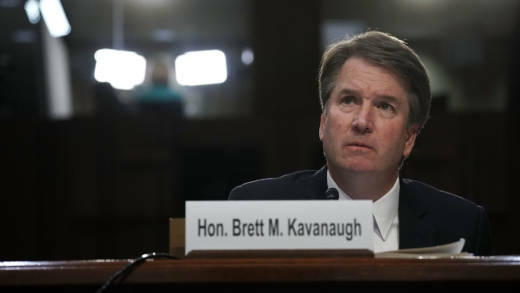 Supreme Court nominee Judge Brett Kavanaugh says he isn't considering withdrawing in the wake of more allegations of sexual misconduct from decades ago, and proclaimed his innocence in a new TV interview Monday evening. 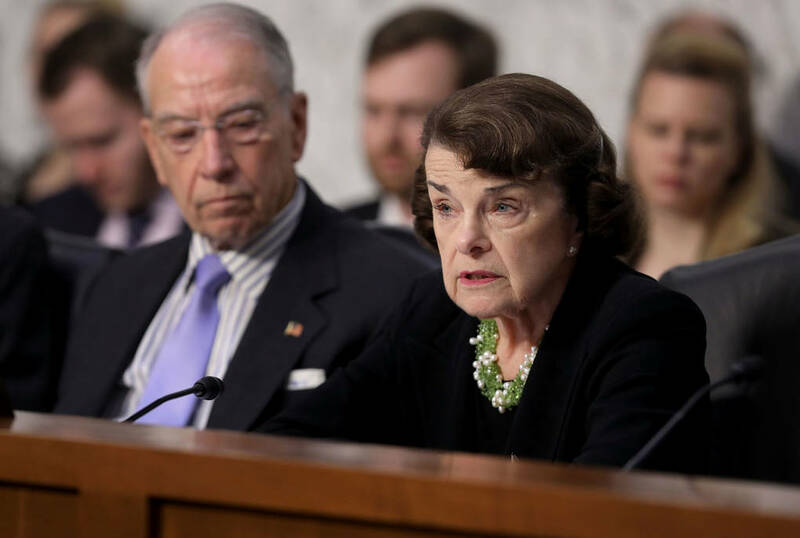 Ford and Kavanaugh have agreed to testify, although California Sen. Dianne Feinstein called for the panel to postpone the hearing following the allegation by Ramirez. "I'm a good person. I've led a good life. I've tried to do a lot of good for a lot of people. I'm not perfect. I know that. None of us is perfect...but I've never ever done anything like" either Ford's or Ramirez's accusations. 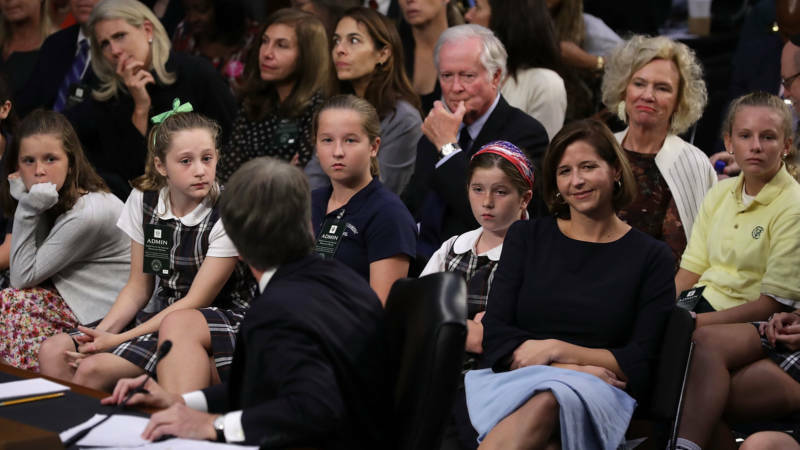 Children who played on sports teams coached by Supreme Court nominee Judge Brett Kavanaugh, along with his wife Ashley Kavanaugh and daughters, 2nd right to left, Lisa and Margaret Kavanaugh, and parents Everett and Martha Kavanaugh, attend the third day of his confirmation hearing before the Senate Judiciary Committee Sept. 6, 2018. Sen. Susan Collins, R-Maine, is among the Republicans calling for the committee to look into the allegations by Ramirez. Collins says she has not decided if she will support Kavanaugh and she is looking to the upcoming hearing with Ford and the judge before she makes up her mind. Sen. John Cornyn, R-Texas, a senior member of the Senate Judiciary Committee, told reporters Monday that committee lawyers have been in touch with lawyers for Ramirez and they are talking. He would not say if he expects a public hearing on Ramirez's allegations.